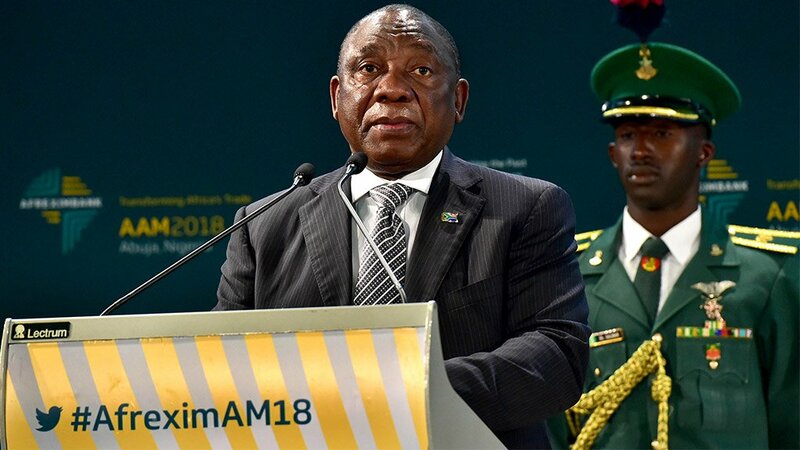 President Cyril Ramaphosa is expected to face tough questions relating to the country's plan to "safeguard Nigerians" living in South Africa. Attacks on Nigerians in the country are expected to come under the spotlight when Ramaphosa meets with his Nigerian counterpart Muhammadu Buhari in Abuja on Wednesday afternoon. Ramaphosa is on a working visit to Africa's biggest economy to improve relations. He addressed the 25th anniversary and annual meeting of export and import bank Afreximbank. During a question-and-answer session, oil trader Uju Ifejika wanted to know what South Africa was doing to protect Nigerians. She said, while South Africans had invested in Nigeria, no one had been attacked, while in SA there had been the "constant killing of Nigerians". "I will not want to come into a country where the safety of my employees is not guaranteed," she said. Ramaphosa said the safety and security of Nigerians would be part of his talks with Buhari as they worked to improve relations between the two countries. He said he had brought along "no nonsense" Minister of Police Bheki Cele and Defence Minister Nosiviwe Mapisa-Nqakula to address the problem. "We are aware that a number of Nigerians feel fearful in the country," he said, adding that the talks would focus on how relations could be improved "exponentially". Attacks on Nigerians in South Africa have dominated the local news websites here, following the killing of Ozumba Tochukwu-Lawrence in Mpumalanga. Tochukwu-Lawrence was allegedly shot six times. A Nigerian presidency official was quoted as saying that at least 117 Nigerians lost their lives in extrajudicial killings in South Africa between 2013 and 2018. Ramaphosa said the government was committed to ensuring the safety and security of all those living within South African borders and slammed xenophobic attacks. "South Africans have been exposed to an unsafe environment, exposed to criminality and we have historically had a number of challenges in this regard but to overlay on this we have had a huge challenge of unemployment. "Our people have tended to react in a way that they want to safeguard their own interests and have expressed their fears and concerns through xenophobic types of attacks on other people and our government has been very clear and strong on this. We will act on anyone who attacks anyone based on race, their origin or the way they look," he said. Ramaphosa added that the two countries were "tied at the hip". Trade relations favoured Nigeria as Pretoria increased the import of petroleum products. In 2016, South Africa exported goods valued at R5.7-billion, while Nigeria exported goods totalling R22.8-billion.